Here are some inventive items to trick out your home. 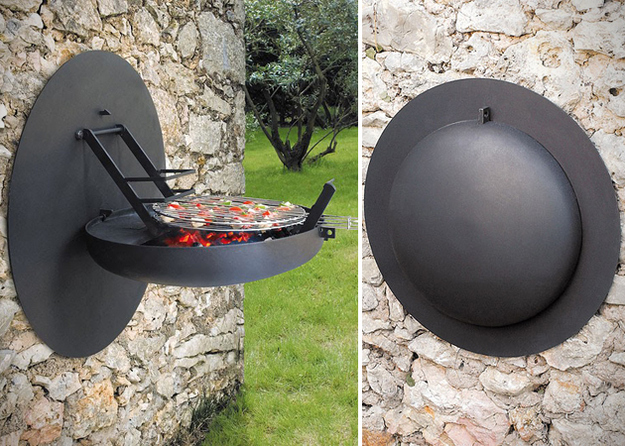 First up, this fold-down barbecue. More info here. 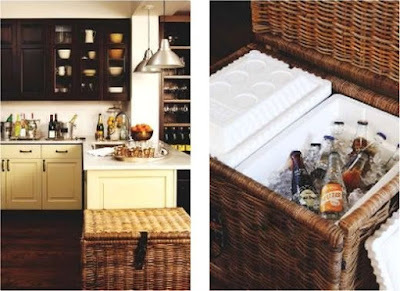 This is not so much an inventive product as it is a brilliant use-- position a couple of styrofoam coolers into a wicker basket when entertaining. Basket is from IKEA. A perfect example of why Etsy is so great. 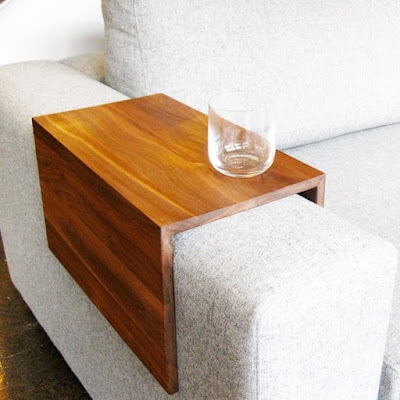 This "couch arm wrap" comes in 5 different woods, available here. 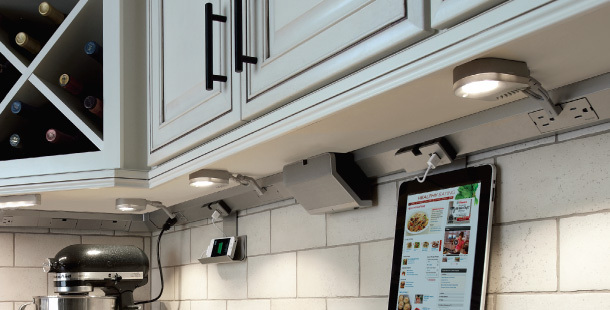 And finally, a way to add the functionality of under cabinet lighting, outlets, and even device cradles in your kitchen. Available here.